Michal Fraley, Roller Skating Instructor for the musical Starlight Express and skaters around the world! 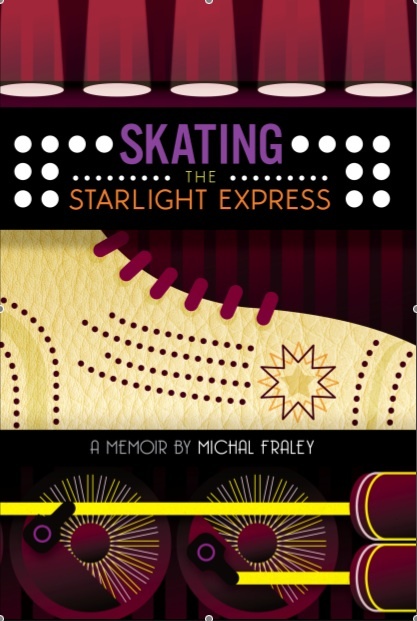 Buy the new book by Michal Fraley the roller-skating instructor and consultant for the popular musical Starlight Express by Andrew Lloyd Webber. How does a boy from a small California town end up traveling the world—teaching roller-skating? Starlight Express, Andrew Lloyd Webber’s immensely popular, long running musical about racing trains is performed entirely on roller skates. Skating The Starlight Express tells the story of how Michal, hired to coach and train the performers of the Broadway production “to be comfortable on their skates”, went on to become the trainer for Starlight productions around the world. Michal gives you a glimpse behind the scenes and reveals some of the challenges the actors face (his Skate School training is just one!) in preparing themselves for performing Starlight Express on stage. Michal began tearing up the sidewalks of his neighborhood on his clamp-on skates at the age of five. On his seventh birthday his parents took him to the local roller rink. Three months later he won his first competition and never looked back. 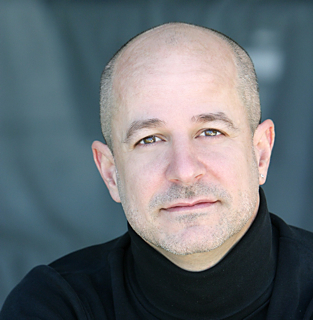 Teaching since the age of 19, Michal has trained recreational, competitive artistic and speed skaters, as well as over 600 performers for productions of Starlight Express around the world. You can take a look behind the scenes of Starlight Express on YouTube. Michal gives you short video impressions of his work, his passion and a lot more! I've just made a short (7 minutes) video that dissects the technique behind the Derby Stop. This stop is also used in Starlight Express productions and is called a Component Backstop. However you intend to use it, this method of stopping is super efficient, once you perfect it! 12 video lessons* you can download to your iPod or other player and take to the park, or wherever you skate. This first series covers ALL the basics of skating including the exercises we use to train the actors for Starlight Express (many of whom have never skated before being hired to do the show). No matter what you want to do on skates, the better basics you learn in the beginning the easier it will be for you to master the skills of jam skating, roller derby, artistic, speed, hockey or even just skating in the park with friends. The lessons come standard on a 16G flash drive in Quicktime format (.mov). Should you need another format please contact us first. *Sk8monk Video Sk8lessons are only available as a full series of 12 lessons. Roller Skating is my passion! Michal began roller-skating at the age of seven (as a birthday present), entered his first skating competition three months later and competed until he started teaching at 19. Seven years later Michal was appointed to train the original Broadway cast of Starlight Express in New York and since then has trained over 700 performers for ten productions around the world. Michal has an extensive background in all styles of movement on roller skates including speed, hockey, artistic, roller derby and even aggressive /street skating. He can also help you with strategic planning of lessons, training and competitions giving you greater effectiveness and success in your chosen discipline. If you would like to buy video lessons, book a lesson, or even just ask a question please fill out the form below and I'll get right back to you. Please enter the two words in the input field.